A Pashmina Kani Towel is not an ordinary piece of clothing. Our genuine Pashmina Kani Towel is so soft, delicate, warm, and beautiful to wear that everyone wants to wear it and transfer it on to generations. 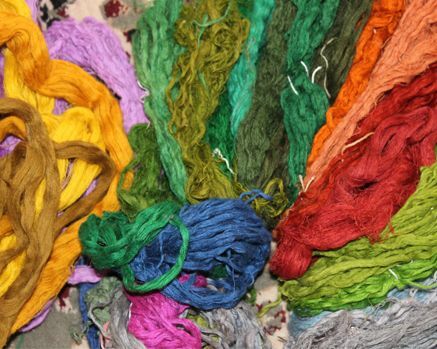 It is to be noted that Pashmina is very sensitive and needs proper care and handling. If you want preserve the color and texture of your Cashmere Pashmina shawls, Towel and wraps, keep the following tips in mind. Don’t wear the same Pashmina shawl, stole or Scarf every day. Do not wear your highend cashmere soft and delicate Pashmina scarves, Stoles and shawls with the rough clothing, metal jewelry, and rough and hard leather as it can cause piling. To remove pils, pick them up with hands. You must always take good care of your highend cashmere Pashmina Shawls and pass on this luxurious piece of clothing to your granddaughters. Furthermore, the Cost of a real Cashmere Pashmina shawls, Towels and stoles also depends upon its design. The main classification of a Pashmina shawls are based on its design and pattern. Solid Colored Shawls are plain in color, modern in style and can be worn along with any type of clothes. 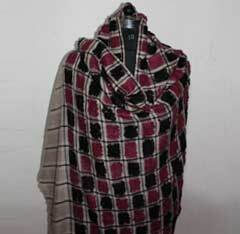 This type of plain cashmere Pashmina Shawls are between INR 7000 to INR 20000. 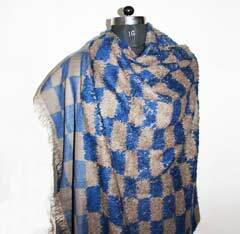 Dip Dye Pashmina Shawls are crafted into an comprehensive mix of colors using eco friendly dyes and colours. Colorful and vibrant, pashmina Shawls are priced around Rs. 7500. Our Highend Cashmere Pashminas Shawls carry the seal of authenticity, which can be verified online. Our Pashmina Shawls are made of 100% Pashmina fiber having fineness of below 16 microns. Our highend Pashmina cashmere Shawls are Hand spun on a traditional wheel called Yinder and woven by kashmiri artisans traditionally.